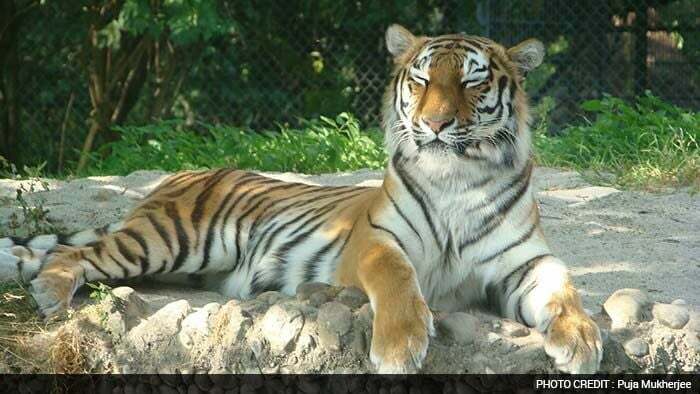 Puja Mukherjee's Tiger Story: 'I live in Frankfurt, Germany and my hometown is in Jabalpur, Madhya Pradesh. Me and my husband went on a trip to Munich for a weekend, and we thought of going in an open air zoo. We saw many animals but as our eyes lay on tigers and on their natural habitat we were mesmerized by their beauty and dignity. We will cherish this day with tigers for our whole lives. Saving Tigers is crucial for me. why? I don't want my kids to see and know tigers by going out for a movie like dinosaurs. I want to take them to zoo and wild life sanctuaries, so as they can spend a day with them. Thank you NDTV for this initiative, I totally support this awesome cause."